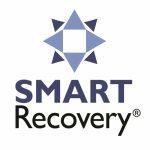 At SMART Recovery we emphasize several values, such as knowing yourself, being responsible for your actions, and being tolerant of yourself when you make mistakes. Persistence is another, and it can be one of your most important values to follow. Once you’ve decided on a goal, you believe it will gain you happiness and less misery, and it probably will. Let’s say that you get started toward your goal, then get frustrated, become hesitant, and quit. That’s hardly a prescription for healthy and happy living. What’s lacking? Persistence: the desire and will to follow through. Often you may give up when you see others who have it easier than you do because of their greater intelligence, talent, beauty or fortune. Or you may simply become overly frustrated and bored, then become discouraged. Finally you quit. That’s sad, because continuing gives you a better chance to get what you want. Thomas Edison captured well the value of persistence when he stated that genius is 10% inspiration and 90% perspiration. He often slept only 4 hours per night, keeping a bed in his laboratory to minimize the time away from working. Though he was intelligent enough to create the phonograph on the first try, he took over 5,000 documented trials to invent the electric battery. Holding out such an accomplished person as an example may seem out of place because few of us can hope to do as well. However, the process of reaching a goal is often the same, so we all will achieve our goals mostly as others do: through perseverance. When we are frustrated and bored, we will press on. When we are working with a handicap, we will keep working. When we feel it’s just not our day, we will continue. With that we may gain as much happiness with our efforts as did Edison. To adopt persistence as a value, assess your preferences and decide on a goal. You may decide to quit your addictive behavior, to achieve more at work, or to do better with your mate. Whatever your goal, it’s important not to compare yourself with others who succeed except for the purpose of seeing that because you are human like them, you may achieve happiness like them. Then begin working toward your goal and press on. 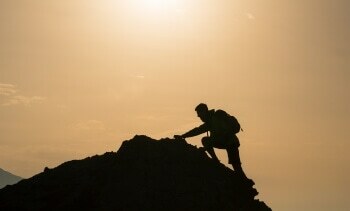 Push through your frustrations by reaffirming the value of persistence and keeping your pace. Then enjoy your successes, and continue for more. I have attended a lot of AA meetings over the years. I tell you, ultimately they do not do it for me. I don’t identify with some of the people, with their situations and attitudes. Nevertheless, I have not been successful at quitting drinking; and what a dreadful hole the habit turns out to be. I hope SMART Recovery can help. Hi everyone. I go to aa meetings. However, I am somewhat put off by it. I am hoping to learn some new tools here. I am opening my mind to more resources available to recovering addicts like myself. I have been a lot of bark with no bite. Things are starting ti change now because i decided to change. Like they say, “For every action there is a reaction”.This is one of my favorite phrases. I’m new to this Smart Recovery website but I am willing to give it a tryMy name is Nichole and It Is nice to join everyone in this online experience. I think it is a great resource for people like us and i will use this site to advantage. Nic…are you back in NY? I am a professional counselor and should know better, but it is still a struggle!